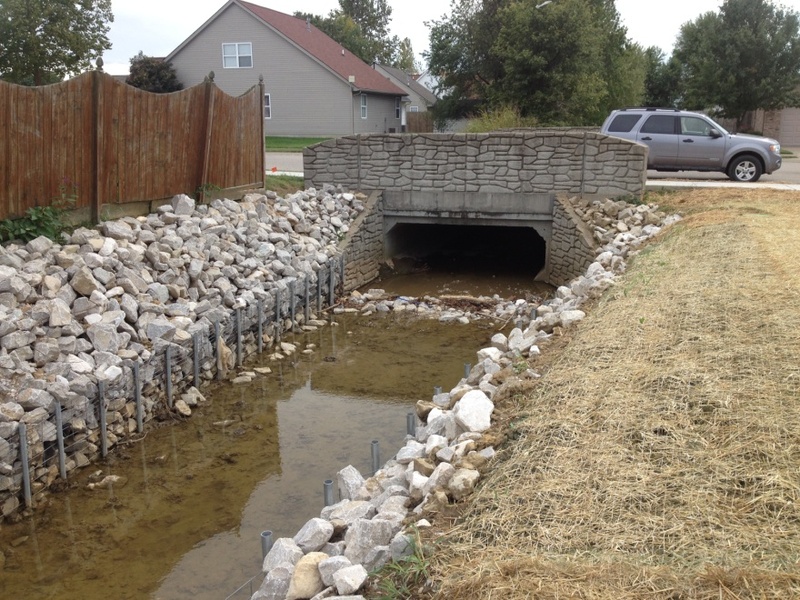 This stormwater conveyance on the east side of Henderson had become overgrown with small trees and brush. In addition, high flows had eroded the sides, and fences and utilities made it difficult for property owners to mow and maintain the ditch banks. 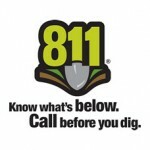 HWU is now responsible for maintenance of all non-roadside ditches, under a Memorandum of Understanding with the City of Henderson. 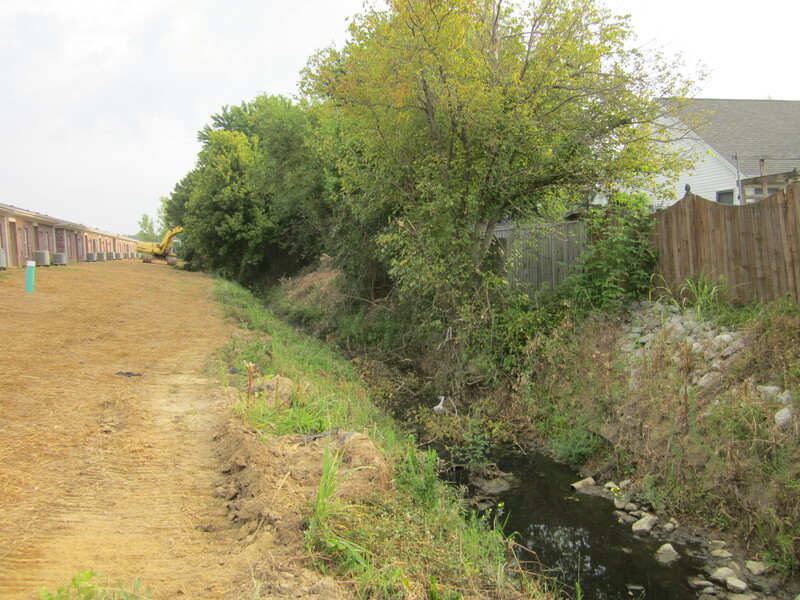 In August 2014, HWU crews began clearing the ditch. 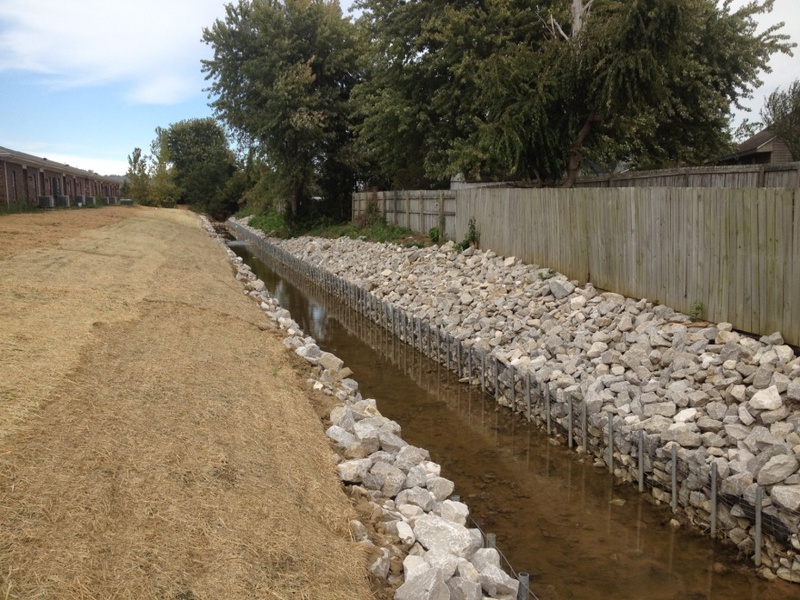 A wire-and-rip-rap wall was constructed on either side of the stream to protect the banks from erosion and to save fences and yards on the surrounding properties. In addition, the wall provides a clear flow path with greater discharge capacity, without requiring widening of the top or bank. The project was completed in October 2014. 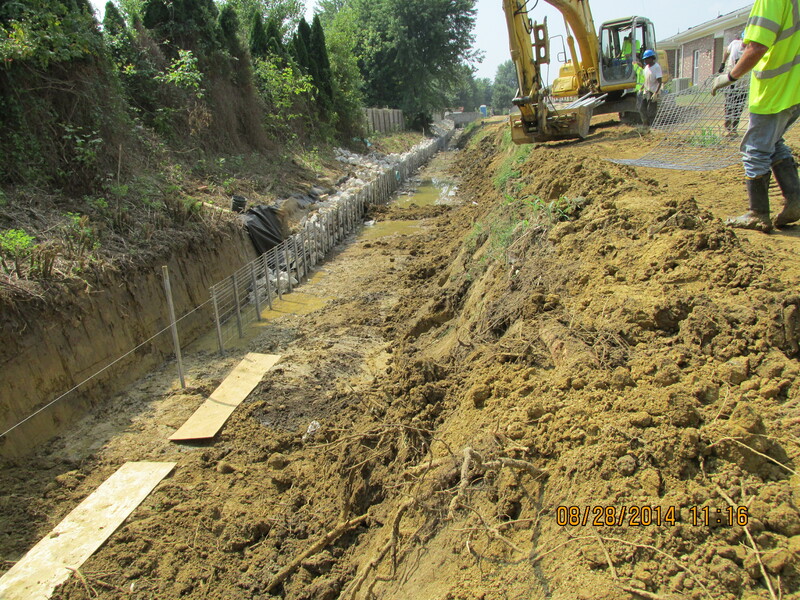 Another view of Tiger Ditch AFTER remediation.